The smartwatch wars are about to begin but, even before they do, ABI Research is offering its predictions on smartwatch unit shipments for 2013. The research firm believes that more than 1.3 million such devices will ship this year, thanks to existing models and to rumors that Samsung, Apple, Microsoft and Google may soon offer competing products. 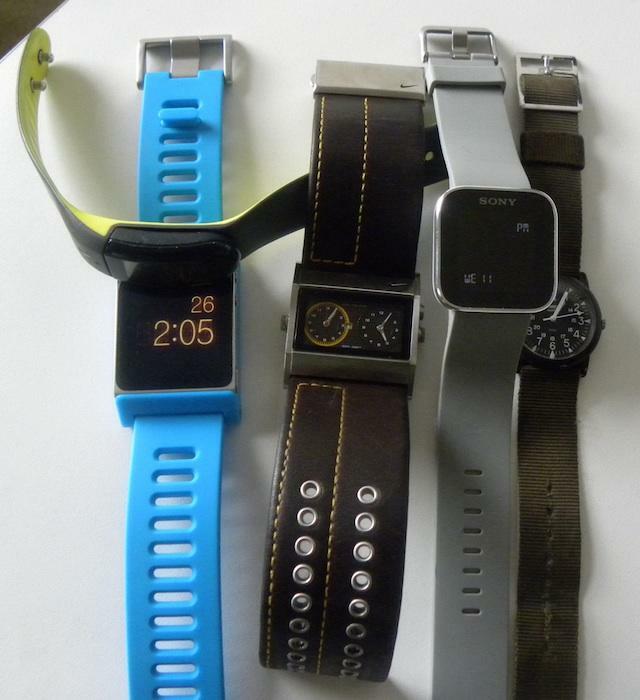 ABI Research said “smart watches that replicate the functionality of a mobile handset or smartphone are not yet commercially feasible,” so it’s currently categorizing most of the existing models, such as the Pebble, MetaWatch and Cookoo, under three other categories: notification types, voice operational smart watches and hybrid smart watches. The devices allegedly being developed by Apple, Google, Microsoft and Samsung are categorized under a fourth type of smartwatch that ABI Research dubs “completely independent smart watches.” These devices have their own operating system and will not rely on a smartphone to operate. Apple’s iWatch is largely expected to hit the market sometime this year, although the company has yet to provide any concrete details that back up industry expectations. LONDON–(BUSINESS WIRE)–Smart Watches have been around for the last decade. The wearable computing device has failed to take off for one reason or another: they looked ugly, were too bulky, had weak functionality, or the battery life was not good enough. However, over the last nine months a number of new smart watches have emerged that could change consumers’ perceptions. Market intelligence firm ABI Research projects more than 1.2 million smart watches will be shipped in 2013. The wearable computing device can be split into four categories: notification types, voice operational smart watches, hybrid smart watches, and completely independent smart watches. Notification type devices are the MetaWatch and Cookoo smart watches, for example, offering alerts for incoming calls, messages and other notifications. Voice operational smart watches enable users to conduct calls and speak some commands via the device such as Martian’s smart watch. Standalone smart watches with their own OS are moving beyond a smartphone accessory. With the potential to be purchased as a standalone product without the need for a smartphone, they offer high functionality and can connect to other consumer devices like audio speakers. A good example is the Italian smart watch maker, I’m Watch. Other good possible archetypes for this category could be Apple’s hotly anticipated iWatch, Samsung’s Galaxy Altius and Microsoft is also reportedly planning to release a new touch-enabled watch for its Windows-based smartphones and tablets. “Smart watches that replicate the functionality of a mobile handset or smartphone are not yet commercially feasible, though the technologies are certainly being prepared,” adds Flood. ABI Research’s latest “Market Opportunities for Smart Watches” report analyzes and provides forecasts for the new wrist computing device. Regional device shipments and segmentation splits are also included in the report. It forms part of ABI Research’s Mobile Device Technologies Research Service (http://www.abiresearch.com/research/service/mobile-device-enabling-technologies/). ABI Research provides in-depth analysis and quantitative forecasting of trends in global connectivity and other emerging technologies. From offices in North America, Europe and Asia, ABI Research’s worldwide team of experts advises thousands of decision makers through 70+ research and advisory services. Est. 1990. For more information visitwww.abiresearch.com, or call +1.516.624.2500.